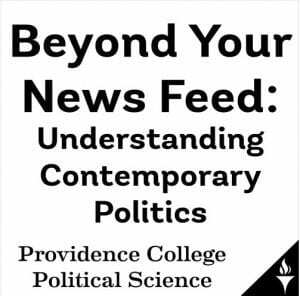 The Political Science Department has a new podcast: “Beyond Your News Feed: Understanding Contemporary Politics.” So far, we have produced three episodes, one with Dr. Myers discussing an overview of the upcoming midterm elections and one with Dr. Affigne on Latino politics. A third episode is with Dr. Guardino on the media and the 2018 election campaigns. You can find the podcast on your phone’s podcast app.